Temple Women’s Forum: How Far Have We Come? 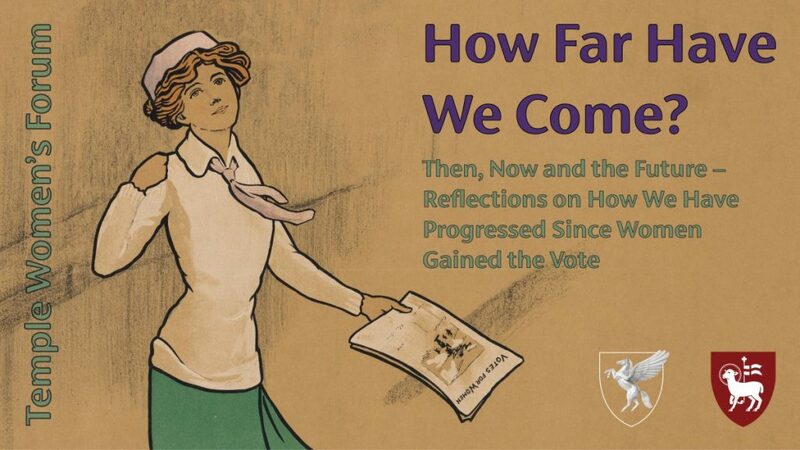 On the eve of International Women’s Day and in the pivotal 100th anniversary year of the first woman to be admitted to an Inn of Court, the Temple Women’s Forum would like to invite you to take part in a conversation about how far women have progressed since first being granted the vote in 1918. The panel will consist of women from law, journalism, politics and the arts.